The delays are down to a necessity to use an alternative runway. DOZENS OF FLIGHTS due to depart out of Dublin Airport have been delayed due to weather conditions. More than 25 flights due to arrive at the facility were also facing delays this afternoon. It is also understood that a flight from Budapest due to land this afternoon was required to re-route through Shannon before continuing on to Dublin. The delays are down to the necessity for the crosswind runway at the airport to be used, as opposed to the normal runway. Airplanes must land and take off into the wind and this second runway facilitates that – but also creates delays. 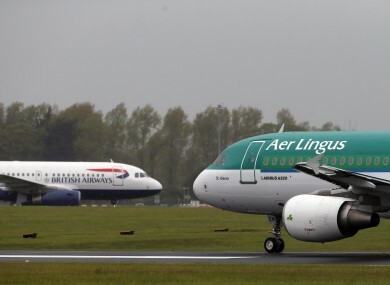 In a statement this afternoon, a spokesperson for Aer Lingus said that the airline was operating its services as planned and that there had been no diversions due to high winds. This disruption comes as a Met Éireann status yellow rainfall warning remains in effect in Wicklow, Donegal, Galway, Mayo, Cork and Kerry. Heavy rain is expected to continue into tonight with the southeast and south coasts being worst affected. Top temperatures today are set to be around nine or ten degrees, dropping to lows of between two and four degrees overnight. Email “Dozens of flight delays as bad weather kicks in ”. Feedback on “Dozens of flight delays as bad weather kicks in ”.